Create a distinctive look with the Wicker ceramic floor tile. The collection features beautiful ceramic tiles with a unique pattern in a matt finish. 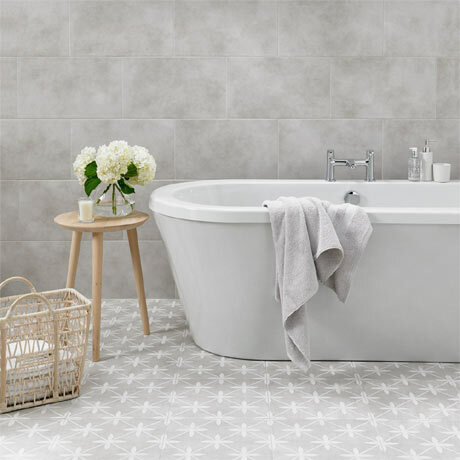 Available in Charcoal grey, Dove Grey or Duck Egg, this hardwearing and versatile tile can be used in all rooms. "Exactly as described, fast delivery." Not yet fitted but I love these tiles and can't wait to see them down.